First Floor 369 sq. ft.
Second Floor 804 sq. ft. 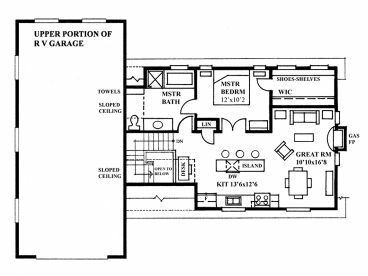 The multi-purpose garage apartment plan has more to offer than you might expect. 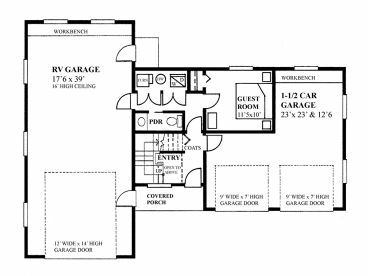 The RV bay boasts a 12’x14’ garage door, a 16’ ceiling and room for a workbench. 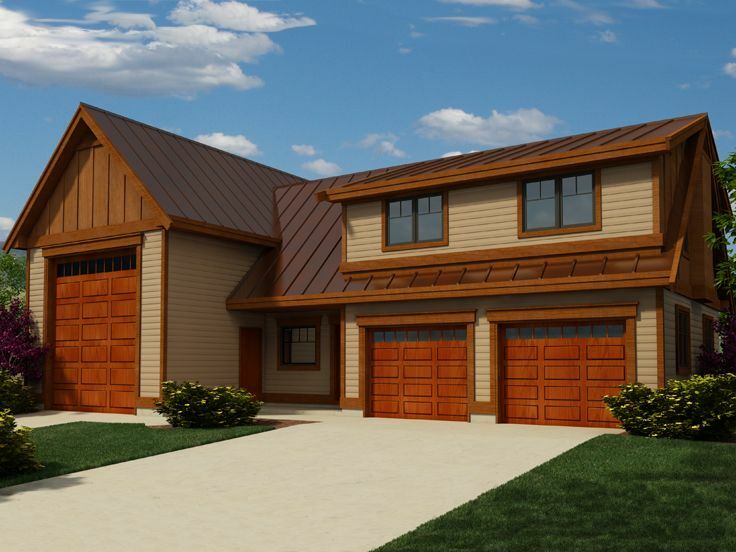 The one-and-a-half care garage features two 9’x7’ garage doors, one parking bay and room for a golf cart or storage. Now pay attention to the living quarters. Upstairs, an open floor plan combines the island kitchen with the great room providing a comfortable place to relax. The bedroom enjoys a walk-in closet and easy access to a deluxe bath. 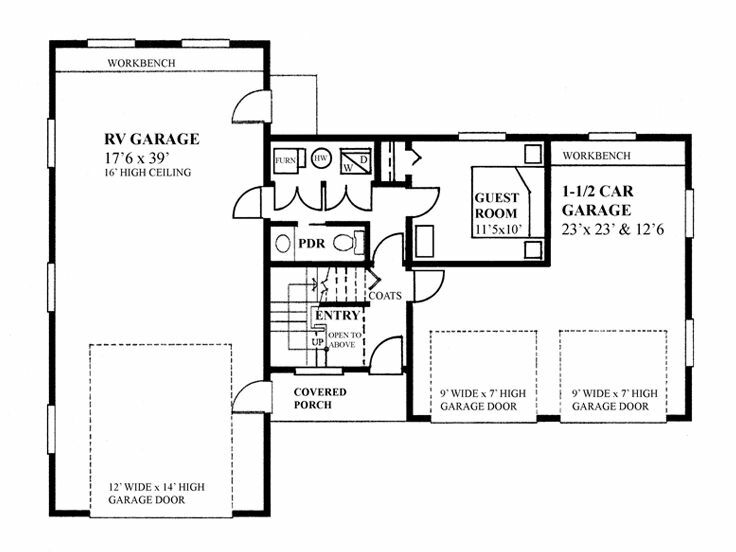 A guest bedroom, half bath and stackable washer/dryer unit positioned on the first floor are thoughtful extras. Whether you need more parking, additional living space or both, this rustic-style carriage house with RV bay is sure to satisfy your needs.